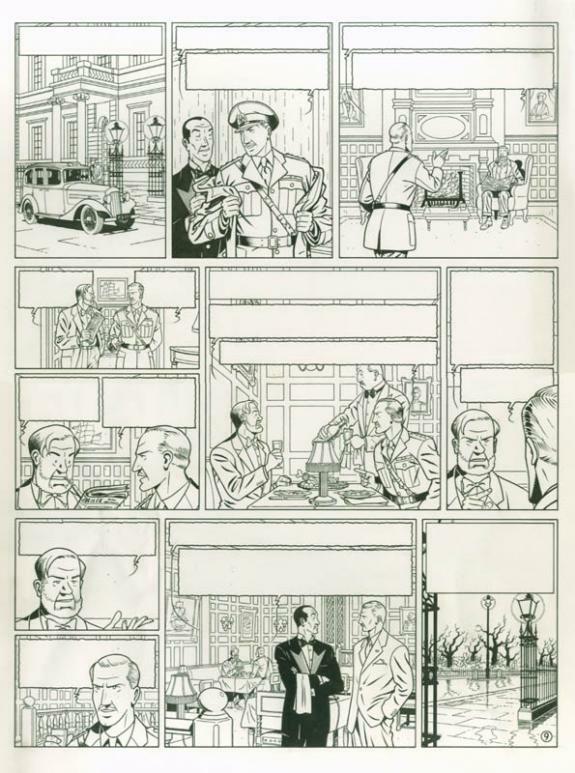 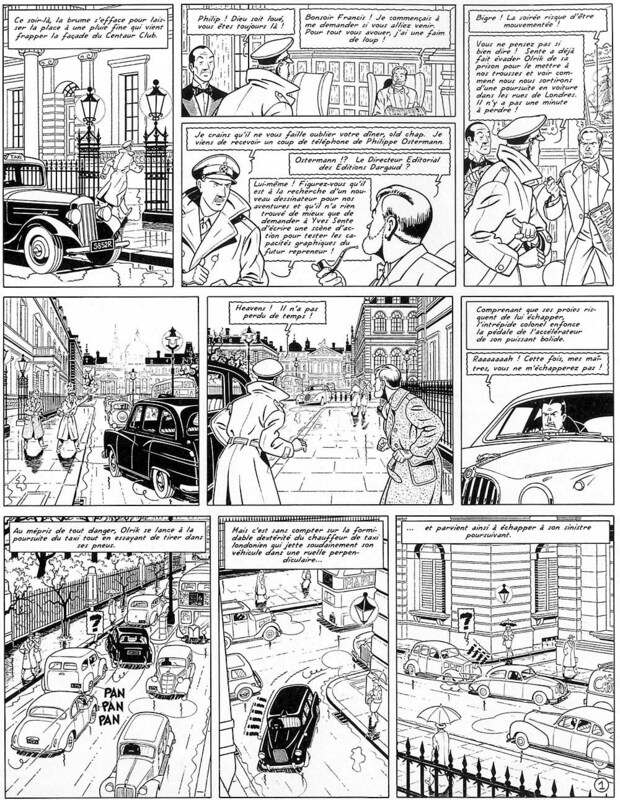 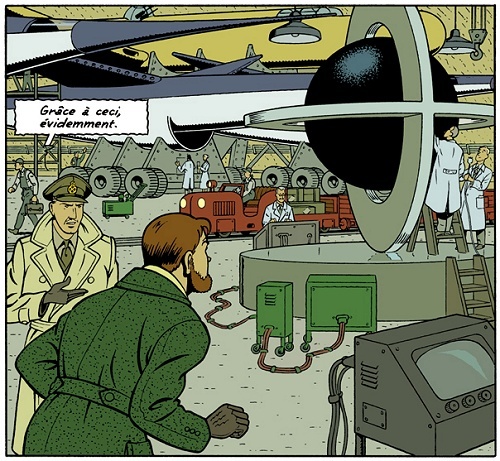 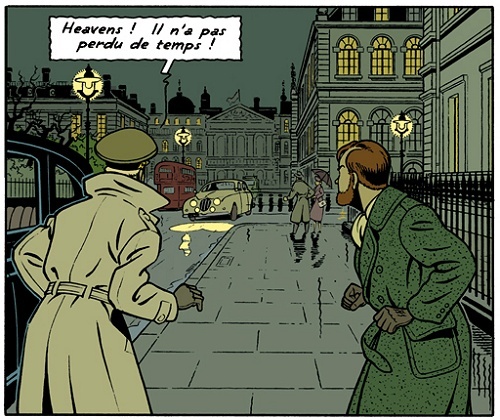 During his lifetime, René Sterne presented two known projects to draw new albums of the Blake and Mortimer series after the death of its creator, Edgar P. Jacobs. 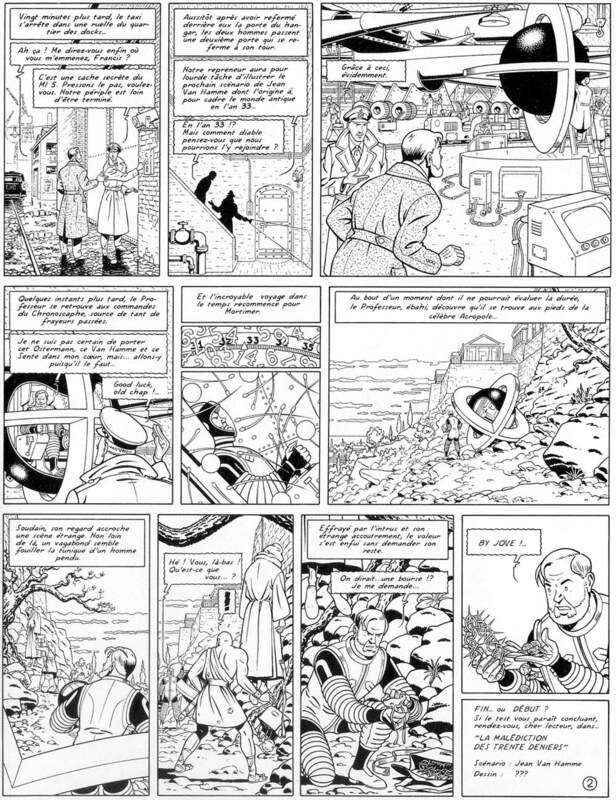 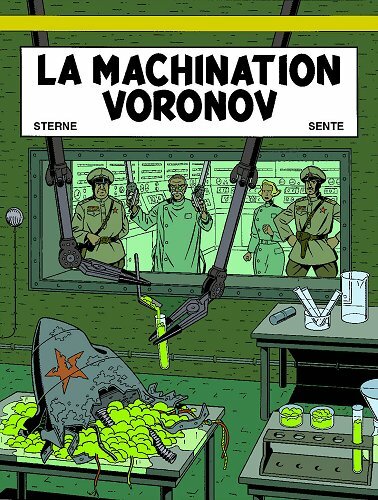 The first one was for The Voronov Plot (a script by Yves Sente and for which André Juillard was finally chosen) and was created in 1998, while the second was for The Curse of the Thirty Denarii (a two-part script by Jean Van Hamme for which he became the official cartoonist chosen by Dargaud) and came to existence in 2004 using an original two-page script by Yves Sente. 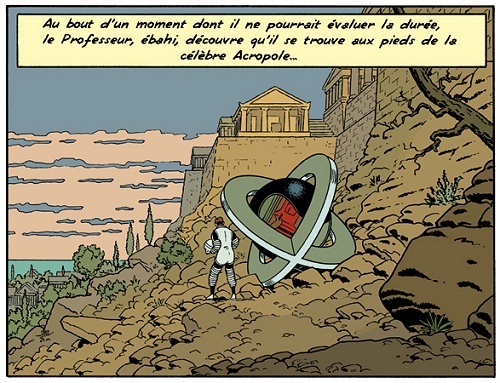 Published in René Sterne’s official website (no longer online).